Despite spending $8 billion to suppress the poppy crop, the situation in Afghanistan is "worse than ever," a new report finds. Federal Sentencing Reform Bill Set to Advance. Key senators have reached a tentative agreement on a major criminal justice reform bill that is being supported by presidential advisor and Trump son-in-law Jared Kushner. The proposed legislation would boost rehabilitation efforts for federal prisoners and give judges more discretion when sentencing nonviolent offenders, particularly for drug offenses. The measure has support from both liberal and conservative groups, ranging from the ACLU to the Fraternal Order of Police and groups supported by the Koch brothers. Michigan Prosecutors Start Dropping Marijuana Cases. Local prosecutors are beginning to announce the dropping of charges in pending marijuana cases after voters last week voted to legalize the drug. Genesee County Prosecutor David Leyton said last Friday that "there will no longer be any prosecutions for possession or use of marijuana" in his jurisdiction, and other DAs are expected to follow suit. Texas Lawmaker Files Marijuana Decriminalization Bill. State Rep. Joe Moody (D-El Paso) has prefiled a marijuana decriminalization bill for the 2019 legislative session. "Civil penalty legislation is the first thing I've filed on the first day of filing for the 86th Session. There's been an incredible swell of bipartisan support since last session, and the official Texas Republican and Democratic platforms both approve of this kind of reform now," Moody said in a press release. "I'm optimistic that this will be the session we finally see smarter, fairer marijuana laws in Texas." Connecticut Adds Chronic Neuropathic Pain to List of Qualifying Conditions. The General Assembly's Regulations Review Committee has agreed that chronic neuropathic pain associated with degenerative spinal disorders is eligible for treatment with the drug. That makes it the 31st specific condition considered a qualifier for medical marijuana. McConnell Says Hemp Provision Will Be in Farm Bill. Senate Majority Leader Mitch McConnell (R-KY) said Friday that completing work on a new farm bill is a top priority and that a provision to fully legalize hemp cultivation will be included. HHS Recommends Banning Kratom. The Department of Health and Human Services has recommended that kratom be placed in Schedule I of the Controlled Substances Act. HHS sent a letter to the DEA saying that two chemicals in the herbal supplement should be Schedule I. The recommendation is in line with past public statements from FDA Commissioner Scott Gottlieb, who calls kratom "an opioid" and says it has been "associated" with dozens of deaths. Thai Congress Proposes Legalizing Kratom, Medical Marijuana. The National Legislative Assembly has officially proposed allowing the licensed use of medical marijuana and kratom. The two drugs would be placed in a legal category that would allow their licensed possession and distribution. The Health Ministry will review the proposal before submitting it to the cabinet, which could amend it before returning it to the legislature. The entire process could be completed by year's end. 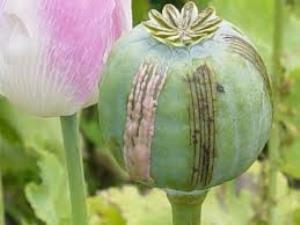 Afghan Opium Problem "Worse Than Ever," Inspector General's Report Finds. Despite the US spending more than $8 billion to reduce opium cultivation in Afghanistan, the problem is "worse than ever," a new report from the Special Inspector General for Afghanistan Reconstruction (SIGAR) finds. "No counterdrug program undertaken… by the United States, its coalition partners, or the Afghan government resulted in lasting reductions in poppy cultivation or opium production," the report stated.